People have been playing marbles and marble-like games for thousands of years. Historians believe that marbles started with cave people playing with small rounded pebbles or balls of natural clay. Clay balls have been found in the tombs of Egypt, in Native American burial grounds and in the ancient Aztec pyramids. For thousands of years, marbles have been one of the world’s most popular, interesting and entertaining games. In 1815 the earliest book on marbles was published in England; according to the book, marbles were made of china, clay, glass or even real marble at that time. In 1848 a German glass blower invented the marble scissors (a mold to make marbles) that revolutionized the process of making marbles. In 1890 the first machine made marbles were made in Germany and later that year in the United States – probably in Akron, Ohio. In 1950 several changes occurred in marble making. First, in Japan, the cats eyes marble was created by injecting colored glass into the normal marble. Then in the U.S. people found out that if you bake your marbles before they cool you will get a crackled effect. In the 1980s magnetic marbles became a sensation because of the “Toys in Space” program. There has been a National Marbles Tournament since 1922; for many of those years it has been held in Wildwood, New Jersey. The group of girls and boys that compete in the tournament are fourteen years and younger with male and female divisions. The tournament is four days long. The National Marbles Tournament’s official game is Ringer, a game that originated from one of the oldest marble games Ringtaw. Today, electronic marble games can be played on the Internet. Bombing or Bombies – This term is used when you drop your marble onto another marble. Dubs – This is when two or more marbles are knocked out of the ring with a single shot. Fairsies – A game rule stating that each player gets back all his or her marbles at the end of play. This rule is decided before play begins. Keepsies of Friendlies – A game rule stating that any marbles a player looses are not returned at the end of the game, but kept by whoever won them. Lagging – In marbles you don’t flip a coin to see who goes first. You shoot or bowl a marble from the pitch line to another parallel line called the lag line. The closet to the lag line goes first. Lag Line – This is the line you throw toward when lagging. Mibs – These are the target marbles, or the ones you shoot at. Mibster – This is the name for a person who plays marbles. Pitch Line – This is the line you stand behind to lag. Jumpsies or Skipping – This is when you shoot your marble in such a way that it jumps into the air and hits the target marble on landing without hitting the ground first. Shooter – The marble you shoot with; it is generally larger than a regular marble. Slip – This is when a marble slips out of a player’s hand accidentally. Target Marble – The marble you are aiming at. Taw – The marble you are shooting with; also called the shooter. Taw Line – The line that you shoot behind. You can play marbles inside or outside. Inside you can play on any surface: tile, wood, carpet or on a mat. Inside use tape, string or yarn to make a circle. If you are playing outside, find a smooth, flat surface away from busy roads, driveways or sidewalks. On outside cement surface or pavement, use chalk to draw boundaries for your game. In dirt or sand, make a circle with a stick; this is how Esperanza, Ramón Pinto, Carlos, Tío Francisco and Ndeh-zin played marbles. Before you start to play, decide if you are playing a game of “friendlies” or “keepsies”. In a friendly game, everyone takes his or her own marbles home at the end of play. In a “keepsies” game, it’s an agreed on competition with the winner taking home all the marbles. Some players like to create a pocket with their first finger and thumb. The marble is nestled in the pocket and then shot by flicking the thumb. Others like to form a pocket with all their fingers. Some players like to place the marble on the ground and flick it with their first finger. Needed: Marbles (13 mibs and 1 shooter per player minimum) and a circle. Players decide how many marbles they are going to use in their game and if they are playing “keepsies” or “fairsies”. Players place 13 mibs in the center of the circle to form an “X”, cross or a smaller circle. The game begins by one player knuckling down at the edge of the circle and flicking their shooter. The object is to knock out one or more of the mibs, without the player’s shooter leaving the circle. If, the player has been successful, then the player can shoot again from the place where the shooter rested. If, after the player has missed and his/her shooter end up outside the circle, then the player must leave the shooter inside the circle. The next player takes a turn. Each mib that was knocked out counts for one point. A player may also knock out any other player’s shooter that remains in the circle. The game continues until all of the original mibs have been knocked out. The player with the most points wins. Or as an alternative way to finish the game, the player who shoots out 7 marbles first is the winner. Players decide how many marbles to use in the game and if they are playing “keepsies” or “fairsies”. Players place 13 or the number of agreed on mibs around the hole in the center of the circle at a distance approximately half way from the center hole to the outer circle. The game begins by one player knuckling down at the edge of the circle and flicking their shooter. The object is to knock one or more of the mibs into the center hole, without the player’s shooter leaving the circle or going into the center hole. If, the player has been successful, then the player can shoot again from the place where the shooter rested. If, after the player has missed and his/her shooter ends up outside the circle or in the center hole, then the player must leave the shooter inside the circle. The next player takes a turn. Each mib that was knocked in counts for one point. A player may also knock in any other player’s shooter that remains in the circle. The game continues until all of the original mibs have been knocked in. The player with the most points wins. Both players shoot a marble (mib) toward the circle from behind the shooting or taw line. If both or neither mib (marble) stops within the circle then both players shoot again. If only one player’s marble stops within the circle, then that player scores 10 points and continues shooting, scoring 10 points each time his/her marble stops in the circle. This continues until the player misses or scores 100 points and then the second player shoots. The first player to win 100 points wins the game. Needed: Marbles (13 mibs and 1 shooter per player minimum) and a football shape. Draw a football shape in the dirt with a line connecting the two ends. Each player puts a marble on the dissecting line. Players attempt to knock the marbles off the line and out of the football. Players shoot their shooter marble from the taw line. The game ends when all of the marbles are knocked out of the football shape. The winner in this “for keeps” game is the one with the most marbles. The player who shoots closest to the football from the taw line goes first. If his/her marble enters the football, s/he shoots again from the starting line. Stir and break up any lumps Place saucepan over low heat and stir constantly. Mixture will become rubbery. Stop stirring when it becomes difficult. until well-blended Place the clay on a plate, tray or aluminum foil to cool. If it is sticky to the touch after cooling, add a small amount of flourand knead it. If you want to color your marbles, add a few drops of food coloring to the clay; use plastic bags to cover your hands. You can also paint the clay marbles after they have dried. Roll clay into marbles. Try to make them all the same size except for shooters. Shooters should be a 5/8th inch diameter. Allow the marbles to air dry for two days before painting or handling. Do not bake. Become a real “mibster”. Study the Marble Playing Terms and when ready, take the 10 point quizto show your readiness to play a game of “mibs”. 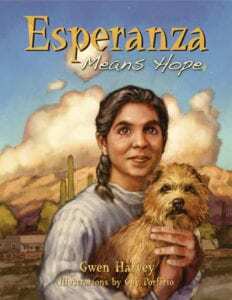 Write a multi-paragraph response to the writing prompt – Playing Marbles in Esperanza Means Hope. Revise and edit your writing and on a new sheet of paper, write a final draft to be evaluated by your teacher. Learn the three ways to shoot marbles by reviewing the diagrams. Practice until you feel confident with your skills and then challenge a friend to play a gameof inside marbles with you. Take home a copy of the Clay Marbles Recipe and make a “batch” of clay marbles. Bring your “mibs” to school and share them with the class and then challenge friends to a game of marbles using your NEW clay ones. Optional: Make a bag to store your marbles. Read the Marble History paragraphs and think about marbles long history. Add your thoughts to the Marble History Response Poster. Then organize a marble tournament with your friends. Playone of the inside marble games. Play one of the free online marble(FOG) games. Keep track of your scores. Do you like the hands-on marble games or the online marble games better? Why? Take the marble survey to add your opinion to the comparison study. Describe the three times when marble playing occurred in the story and why the game was significant each time. Name the players, under what circumstances they played the game and with what result or outcome. (Go beyond telling who won or lost; explain how relationships changed when the games were played.) Marble playing between story characters occurs on the following pages: pp. 6 – 10, pp. 109 – 114 and p. 232. When you return all players marbles at the end of the game, you’ve played the _____________________ rule. When players keep marbles they have won form other, you’ve played the _______________________ rule. Directions: Circle your answers and then fold your paper and place your survey into the envelope. All surveys will be tabulated at the end of the study. I prefer to play HANDS-ON or ONLINE marbles. I have more interaction with my friends when I play HANDS-ON or ONLINE marbles. HANDS-ON or ONLINE marbles require more player skill to win. I lose track of time when I play HANDS-ON or ONLINE marbles. What makes the game of marbles so long-lasting?